Dr. Will Stinger and his wife Sara are both very excited to be returning home to Idaho. Dr. Stinger was born in Pocatello and graduated from Idaho State University. While attending medical school in Des Moines, Iowa, and residency in Canton, Ohio, he kept his Pocatello cell phone number as he always knew he would return. 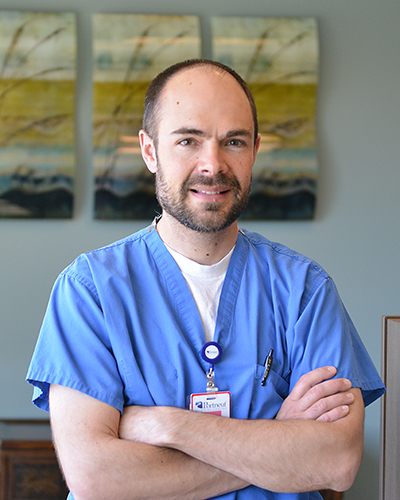 Dr. Stinger will be accepting patients for both normal and high risk obstetrics. In addition Dr. Stinger has been trained in all aspects of gynecologic care: well woman care, menopausal symptoms, colposcopy, family planning, pelvic prolapse, and evaluation and treatment of incontinence. He has special interest in minimally invasive surgery including training in Essure, Myosure, laparoscopy, and the da Vinci robotic surgical system.